Death on Zanath, Lee's 6th novel, was published by Double Dragon Press in 2012. It became a paperback bestseller at Amazon and an ebook bestseller at Fictionwise, the Barnes & Noble Company. Also available at other retailers, including Books-A-Million, Peerless Book Stores, and many others. Death on Zanath is a page-turning thriller. Mankind reached the stars, colonizing planets deep in the galaxy. But a century later, the T’Akons, a powerful alien race appear. The machine-based aliens conquer the human colonies with their advanced technology. They also begin to remake humans into their own cybernetic likeness. 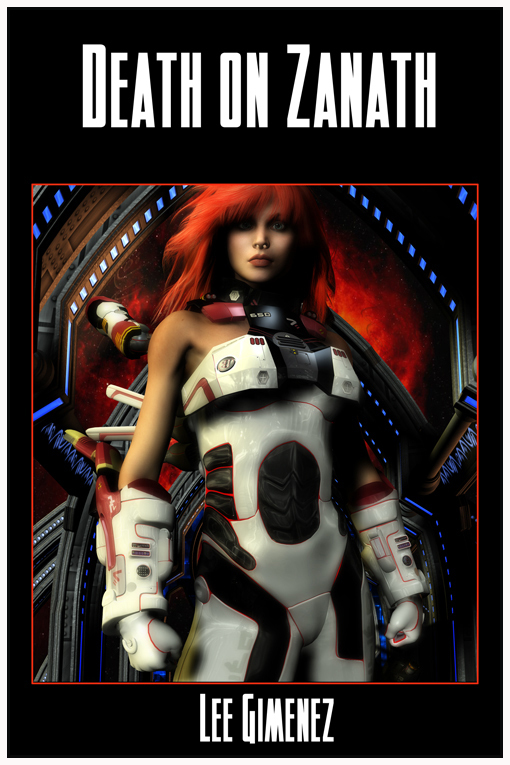 On the planet Zanath, the aliens create cybernetic-hybrid humans that comprise a majority of the population. Unmodified humans are shunned on Zanath and forced to live in ghettos. One such human is Kira Zo, a soldier. She is smart, beautiful and headstrong. Kira organizes a Resistance movement to overthrow the T’Akons. She also seeks the support of the Elayans, an alien race from the other side of the galaxy, and mortal enemies of the T’Akons. But the T’Akons are determined to crush the Resistance, wounding Kira in the process, and killing most of the humans in a series of brutal, deadly battles. Can Kira enlist the support of the Elayans before the Resistance is totally wiped out? The future of humanity hangs in the balance.